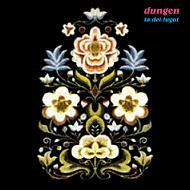 Dungen - "Ta de Lugnt"
What can I say? This is a very special psychedelic experience. The band is lead by Gustav Ejstes. This is the bands third release and most psychedelic effort. It features a very raw production, with the drums having a very special raw sound and guitars just in your face. The CD opens with the amazing "Panda". All the lyrics are sung in Swedish but the music is totally from the roots of 60's psychedelia with some interesting harmonies and strange excursions into the unknown. A bit jazzy at times actually and some totally free form freakout stuff as well as more acoustic. Quite an amazing release that really grows on you. It has also been released on vinyl in a limited 500 copies.